The update introduces over 600 new clothing and accessory items to players. 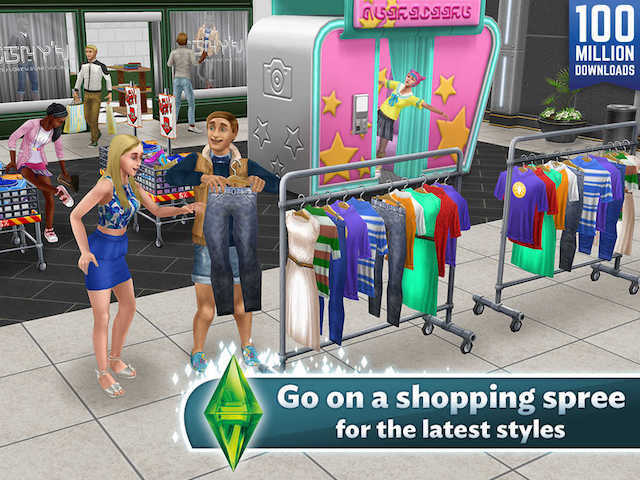 EA Mobile has launched the latest major content update in The Sims FreePlay, which is focused on an expansion to Sunset Mall and hundreds of new clothing and accessory items. This update brings a second floor to the Sunset Mall, and challenges players Level 12+ to complete the Pretty Little Planters quest to unlock new clothing items. As part of this update, the mall has also been given multiple new activity spots, like an indoor skydiving center and a ‘Wumples Play Center’ for players’ younger Sims. Players can send their Sims to the Sim Town Cinema to watch a film, take pictures in a photo booth, or toss coins into a new coin fountain. Players can train their Sims in the Fashion Hunter hobby and head to the Bargain Center to unlock new stores, while the Make-Up Kiosk and Make-Up Artist hobby allow gamers to ‘experiment’ with new make-up products. In total, this update introduces more than 600 new clothing and accessory items to players. The Sims FreePlay is available to download for free on the iTunes App Store, Google Play and Amazon Appstore.